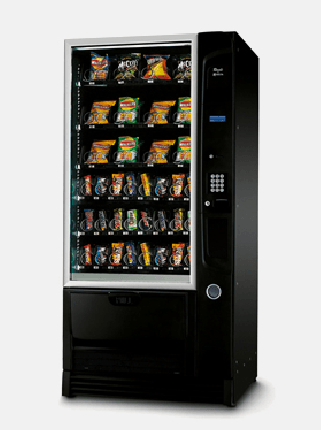 Our fully maintained vending solution is specifically designed for sites where there is an absolute need to provide a snack, can or hot drink service but without all the fuss of stocking the machines and managing the daily care routine. We supply, install and stock the machines to the premises completely free of charge and provide any additional staff training that you may require. Our range of machines include the fantastic N&W NECTA selection of snack machines and hot and cold drinks machines, all provided with complete on site service cover for your piece of mind. A member of our support team is assigned to your site, with regular visits booked to clean and maintain the installed machines, as well as investigate any faults that may have arrisen. The machines are emptied of cash at each visit and the change givers are re-stocked for future use. If you need us we are here to help with a full team of trained engineers who can assess and act on a fault call immediately, in addition we work with a number of external specialist companies should we need additional help to cover your service. You choose the items you would like stocked in your machines so that your staff and visitors are happy with the selections on offer, we can also tailor the pricing on each item to meet your requirements.